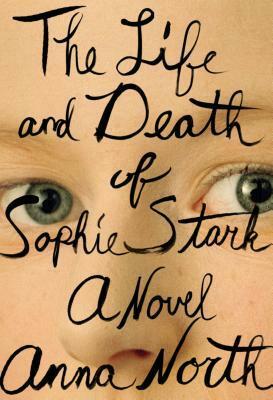 The Life and Death of Sophie Stark By Anna North. Want an engrossing read for the weekend? This book grabbed my attention from its title, cover and first pages. I was captivated and couldn’t stop reading. It’s a fascinating novel about creativity, artists, fitting in and being satisfied with success, fame and how we perceive ourselves and how we want others to understand us. Sophie Stark, who changed her name to suit her persona, is a renowned and elusive filmmaker. She makes enigmatic and often strikingly sad, honest films that strip bare the characters and dig into their psyches. Sophie manages to get those close to her to reveal dark, personal moments and memories and then exploits them through her film-making. Jacob admits: “At the same time, I wanted to hold Sophie’s interest. I felt like I was performing for her—I didn’t know whether it was a good performance or a bad one, but I didn’t want to stop. And I didn’t like the way Sophie was looking at me, like she’s given me a challenge I was failing to rise to.” Allison starred in Marianne based on her experience being raped in her hometown in West Virginia. She thinks: “I’d gone to so much trouble to tell a good story about my life, a story that was exciting and didn’t make me look bad, and now the cast and crew and anyone who saw the movie would see the other story anyway. They would see me letting Peter do something I didn’t want; they would see me fearful and helpless and struggling.” This is Anna North’s second novel. The first, America Pacifica, came out in 2011. She’s a currently a staff editor at The New York Times and has been a writer and editor at Jezebel, BuzzFeed, and Salon. FTC Disclosure: I received this book for review from Net Galley.